If you’re looking for a way to spruce up your storefront, a custom window decal sticker is just what the doctor ordered. Perfect for displaying business logos, hours of operation, sales and specials, or all of the above, our gorgeous window decals will show off your design in high definition and full color. 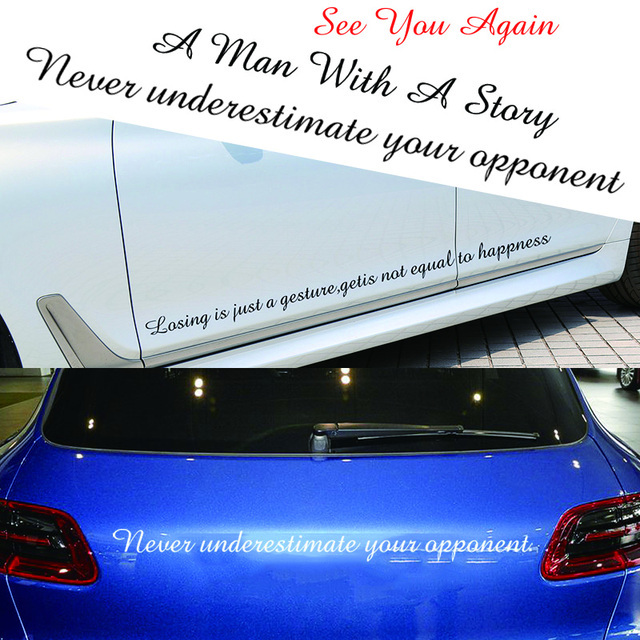 Stick it on your door, on your window, or anywhere else you get traffic, and in no time you’ll see why these attention grabbers are a great marketing tool for your business. Custom shape cutting is only available if you provide a vector contour shape for cutting in your file. Unless included in your design file, contour cutting is not possible. Please download and follow our file setup instructions below that include necessary steps to create vector cut shape for cutting. All of the white areas in your artwork will appear as a light silver during the day and reflect more of a white shade at night. Lighter colors in your artwork, such as yellow, light green or red will reflect as these colors at night. Darker colors, such as dark blue, black or dark green won’t reflect. Design your artwork to have a combination of both light and dark colors for the best reflective results. Our reflective stickers are commonly used for Reflective Bumper Stickers – Our reflective stickers are perfect for labeling hard hats, vehicle bumpers, helmets and any smooth, clean area for an extra layer of night time identification. Reflective Bicycle Helmet Stickers – Our stickers apply easily to the curves of a hard hat without creases or ink cracking. 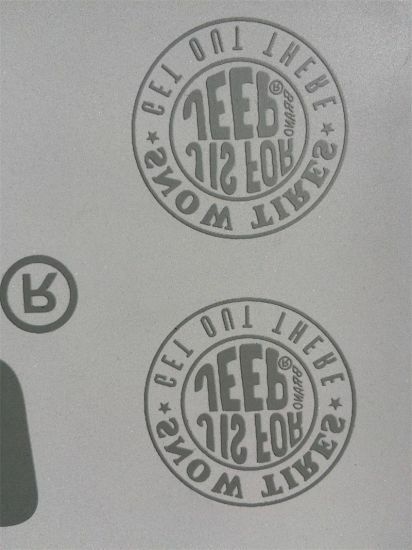 The vinyl laminate applied to each sticker protects the print. 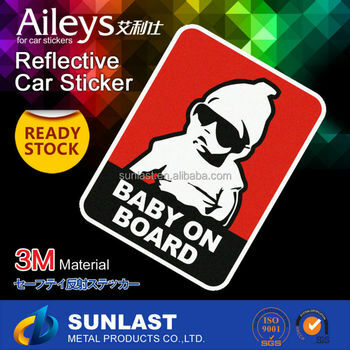 Reflective Warning Stickers – Need to have custom warning stickers printed? The red and yellow in typical warning label designs reflect at night, making them incredibly visible. 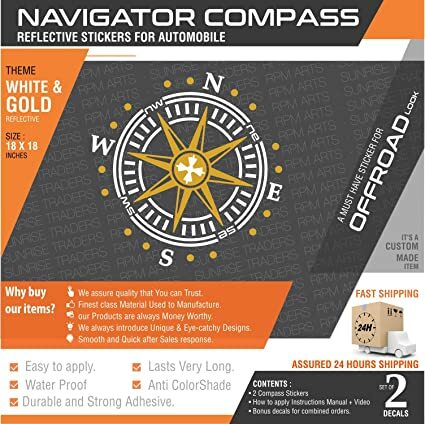 Reflective Logo Stickers – Add an extra layer of safety anywhere with Reflective Stickers, while applying your logo with ease. Our Reflective Stickers apply with a peel and stick application, and remove without any residue. The standard reflective stickers are outdoor durable for up to four years under perfect conditions, if installed on smooth flat surfaces in indirect sunlight. 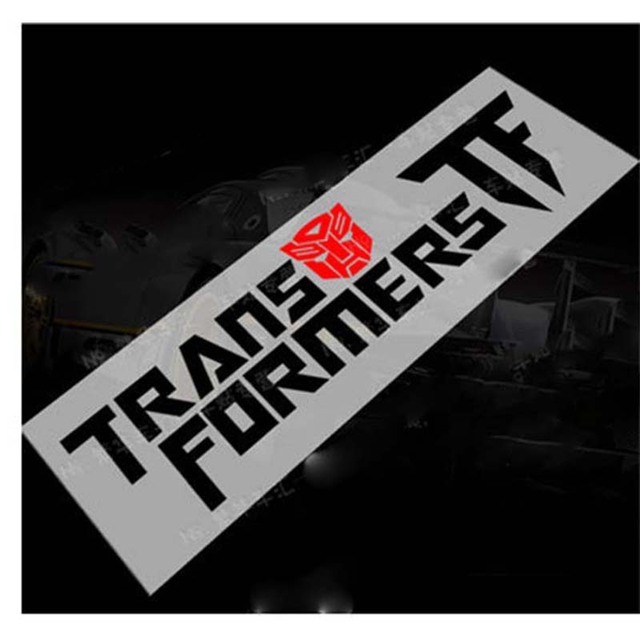 We have a minimum Order of 25 stickers for stickers that are under a 6″ x 6″ size. For sizes over 6″ x 6″ in size, we can generally produce less than 25 stickers per image. Start with our Free Quote Form and get your project started! Optional 3M cast gloss overlaminate extends product life for up to eight years outdoor with added UV, scratch, and abrasion protection. Our Reflective Vinyl Stickers will give your stickers unmatched visibility in night time situations. Our Reflective Stickers are digitally printed and used for warning labels, hard hat stickers, bumper stickers and more. If you have seen emergency vehicles at night, you know the “glow” these stickers give off when they are exposed to light at night. Our Reflective Stickers are laminated with a glossy clear vinyl laminate and have a 3+ year outdoor life. We can print full color artwork and cut your stickers to any shape and size. 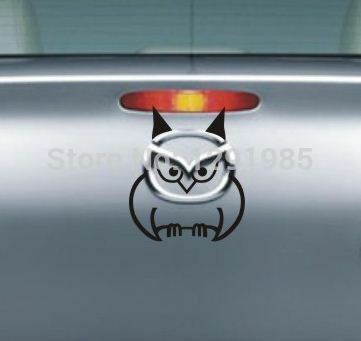 Be seen at night with our Reflective Stickers! We have standard samples that are available upon request that we ship via USPS Priority Mail. Start with our Free Quote Form and mention you would like some Free Samples. We’ll reply via e-mail with a quote and ask for your address. If our quote looks perfect for your project, we’ll be glad to send out some Free Samples the next business day. Our reflective stickers are designed for both indoor and outdoor use, and should last up to seven years. 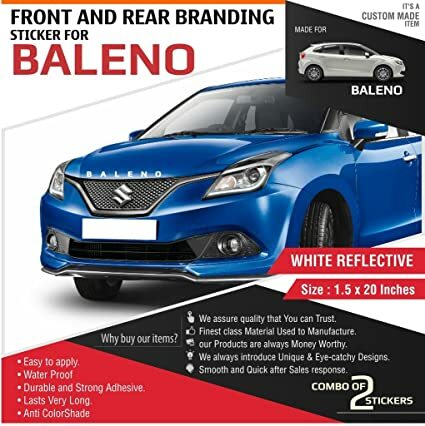 Perfect for security stickers, safety labels, marking of sports equipment and vehicles, the reflective stickers become intensely reflective and bright in dark environments when hit with headlights or a flash light. 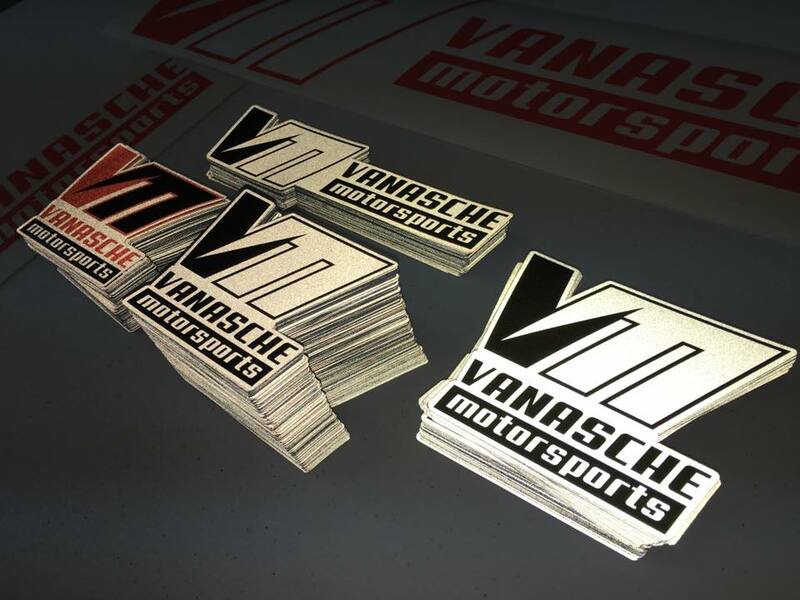 Printed on seven-year 3M reflective vinyl with permanent solvent adhesive, these stickers will stick very aggressively to most flat smooth surfaces and won’t come off easily! The surfaces they can be permanently adhered to include glass, metals, certain plastics, and fiber panels. The nature of reflective vinyl material makes them very sticky and hard to remove, with possible damage and peeling of top layers on some parts, especially custom made and finished, so we advise to only use if you’re planning to keep it there for a long time and aren’t afraid of damaging the surface during removal. To greater extend outdoor durability, especially on moving vehicles like ATVs, RVs, bikes, trailers, and snowmobiles, we offer an optional clear gloss 3M laminate layer that will extend sticker scratch and abrasion resistance. GREAT BANNER! Printastic gave us good, fast service and a great price on a banner for our Farmer’s Market! We plan to order again soon! Shipped Free via USPS Priority mail in 7-10 days or less – turnaround on some orders can be as little as 1 day! One on One Service – We work with you (start with our Free Quote form to get started!) to make sure your custom sticker project is perfect. We care about every sticker project like it’s our own. Waterproof and Dishwasher Safe – A 2.5 mil Glossy Laminate is applied to every reflective sticker we produce. We guarantee a 3+ year outdoor life. 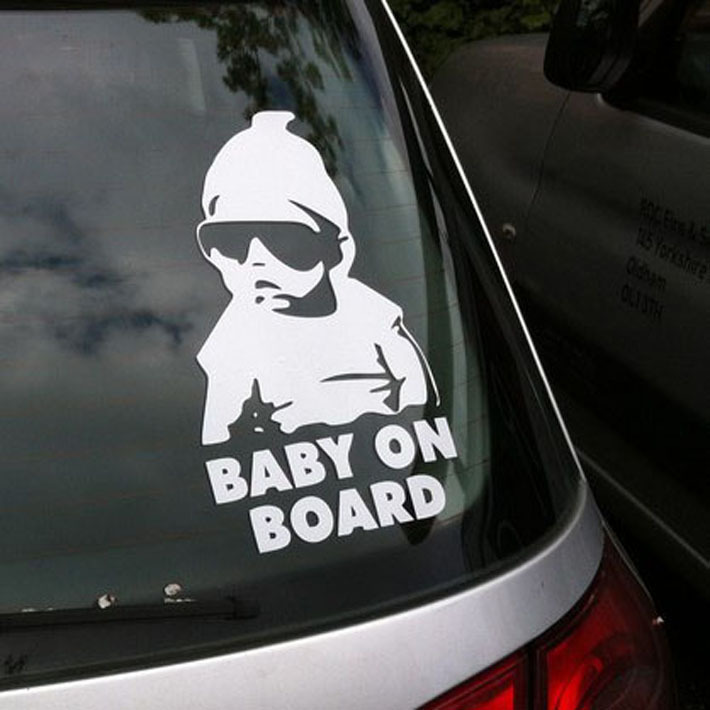 Use on Vehicle Windows, Bumpers, Signs, Hard Hats; nearly any smooth surface, indoors or out. Applies without wrinkles to complex curves of hard hats, removes without residue. Made into any Shape and Size – Our computer controlled cutting process is incredibly accurate and clean-cutting, we have no die fees. Full Color Printing – We can print your one color to full color images onto reflective with glowing results. Every sticker is made in-house in the USA with materials made in the USA. Standard Production Time: 7-10 Days Rush Production Time: 2-3 Days See our Production Times Some projects can be turned around in as little as one day. Contact Us and we’ll get back to you the same business day. Submit your artwork to us exactly as you want it to look when it’s a completed sticker. Do not worry about adding in bleeds, safe areas or following any specific templates. We can cut to any shape and size. 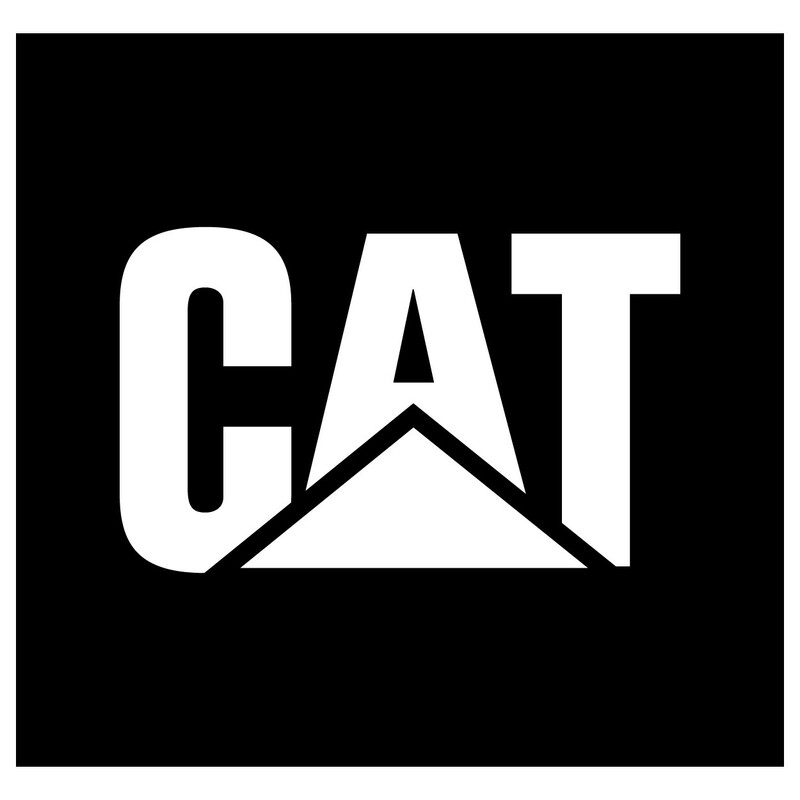 We operate incredibly accurate cutting equipment and if we need anything other than what you’ve submitted, we’ll let you know during the quoting process. If you have a specific shape that you want us to use, add in a 1 point cyan cut line in Illustrator or Corel Draw. We recommend designing your file at 600+ dpi and designing your artwork in double the size you need your stickers made in if working with Adobe Photoshop. If using Illustrator or Corel Draw, design to size, add in a 1 point cyan cut line to show us the shape you prefer, or we can add in the cut line. Files can be designed in CMYK or RGB colors. Please only submit high-resolution, print-ready artwork in .JPG, .GIF, .EPS, .AI, .BMP, .PNG, .TIF, or .PDF file types. 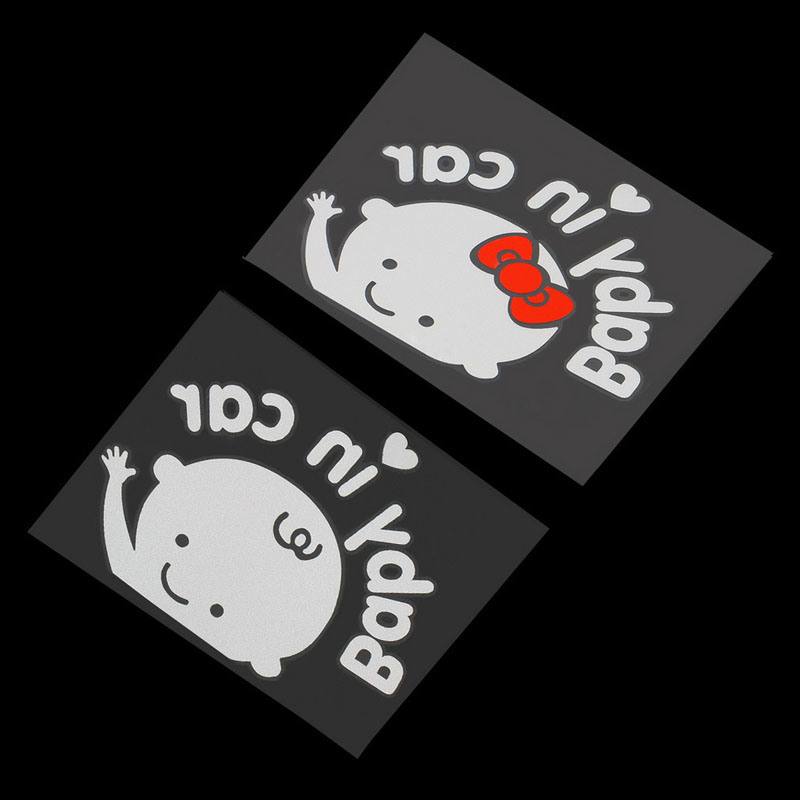 We’re able to produce each sticker with a different number on each sticker, these numbers can be consecutive or random. 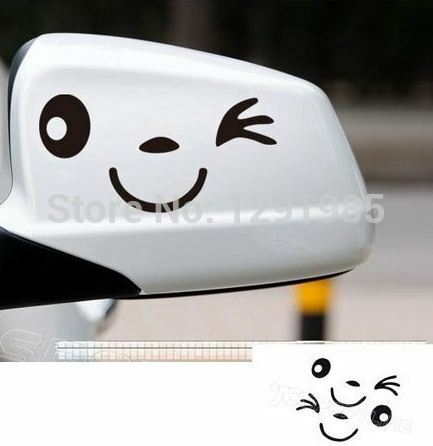 This will give each sticker a unique identifier which is perfect for identification of vehicles, unique product labels, or parking passes. Your stickers will arrive to you stacked in order, ready to be applied. We only need one artwork file (mention the font used for numbering) showing where you want the number to be placed. By default this product comes cut into individual rectangular shapes staggered several on a sheet of vinyl. 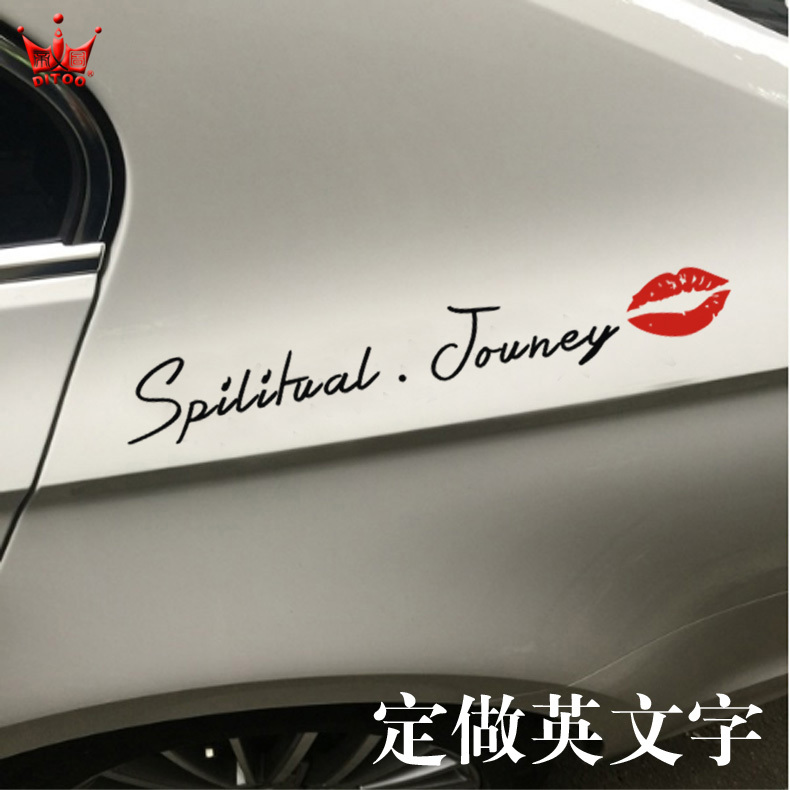 White reflective 3M vinyl, at a substantial 7 mil. thickness, printed on one side, comes with permanent clear adhesive, with outdoor lifespan of up to four years. This material is designed to be used on flat smooth surfaces with no curves, corrugations, or rivets. Custom shape stickers are contour cut around your desired shape, and come combined several per sheet to maximize efficiency of production. This optional cast 2mil. gloss overlaminate extends outdoor life of reflective decal up to eight years and adds additional UV, scratch, and abrasion protection. 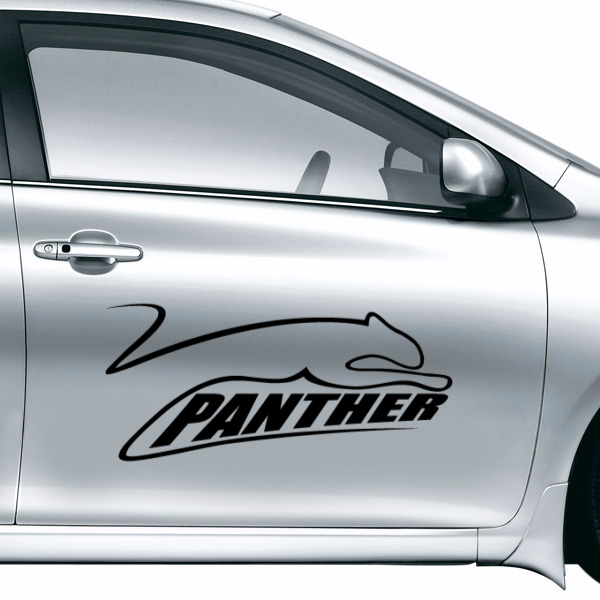 Take advantage of your prime window real estate with a custom decal. 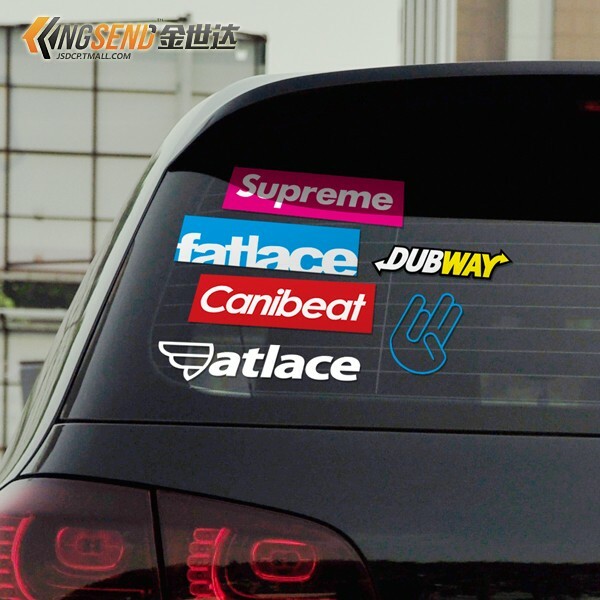 Make custom reflective stickers and reflective decals with StickerYou. 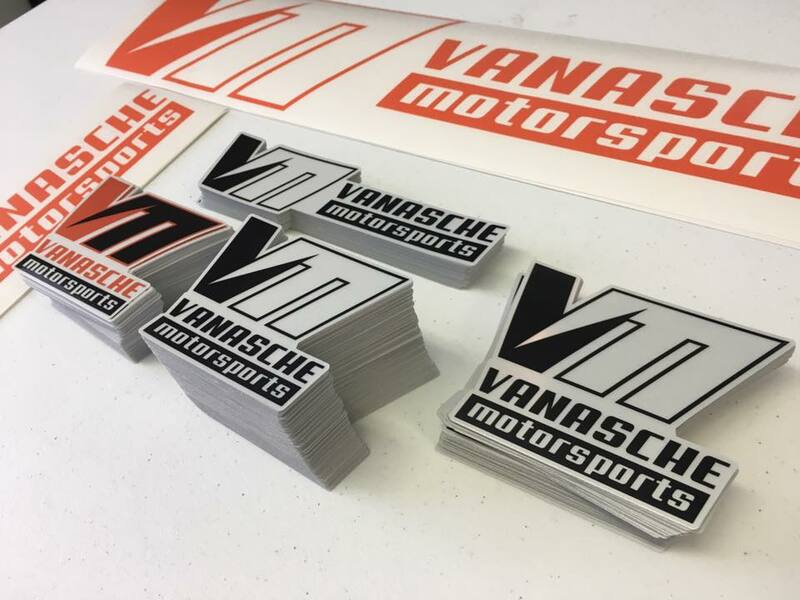 These durable, permanent stickers will ensure your logo, design, or sign are clearly visible in poor lighting or weather conditions. Reflective sticker material lasts for up to four years in harsh outdoor conditions making ideal for use indoors or outdoors. 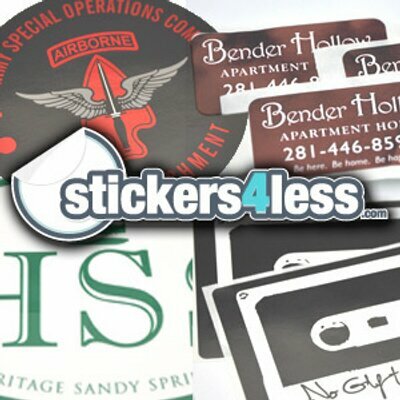 We can produce your stickers from 1″ x 1″ (sometimes smaller for more basic artwork) up to 52″ wide by any length. This includes 3″ x 3″, 4″ x 4″, 4″ x 9″. Whatever size you need, we can produce it. We’re a fully capable sign shop with incredible capabilities. You tell us your project, more than likely we’ll have a solution.